The missing teen found alive after disappearing from her home in October has been seen for the first time just hours after her miraculous escape. 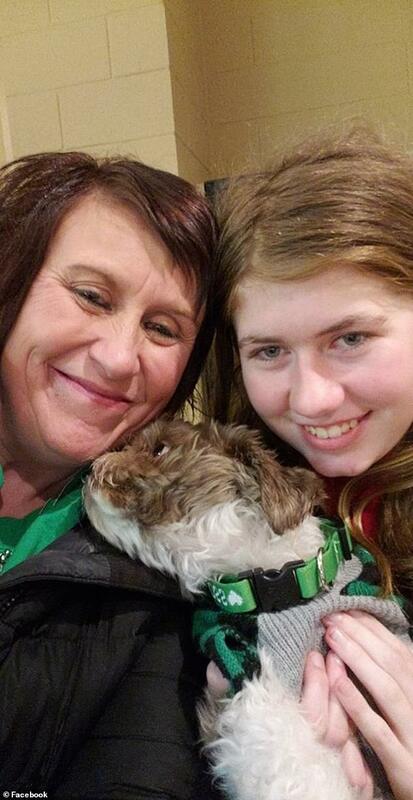 Jayme Closs, 13, is pictured smiling alongside her aunt in the new image, which was posted on Facebook and taken today, according to a fundraising page. 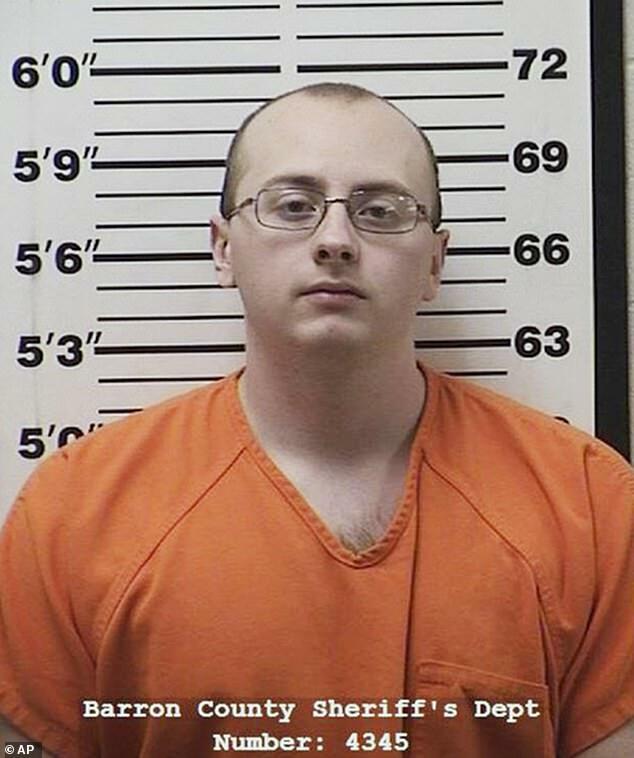 Jake Thomas Patterson, 21, is accused of kidnapping the teen and killing her mom and dad after ‘targeting’ the 13-year-old girl in their house in Barron, Wisconsin. 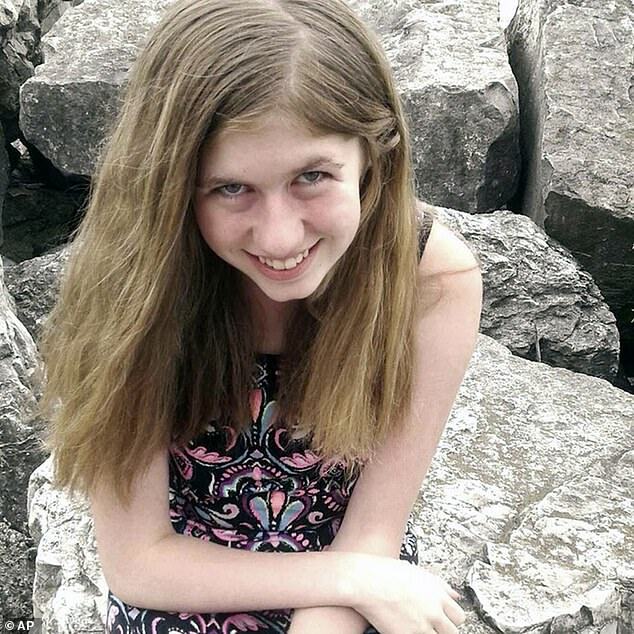 They confirmed Patterson, from Gordon, Wis., is in custody on two charges of first degree intentional homicide in the deaths of Jayme Closs’ parents and one count of kidnapping. They say the family did not know the accused. 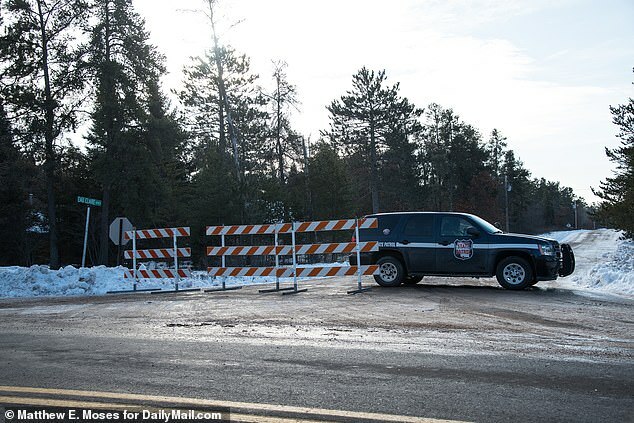 Barron County Sheriff Chris Fitzgerald released additional details Friday evening and said the suspect went to great lengths to alter his physical appearance and hide evidence of the alleged murder, including shaving his head. Police say they have recovered the shotgun used to shoot open door October 15 as well as other guns. Oct. 29, 2018 – Prosecutors announce they have charged a man with burglarizing the Closs home but say he’s not a suspect in the case. 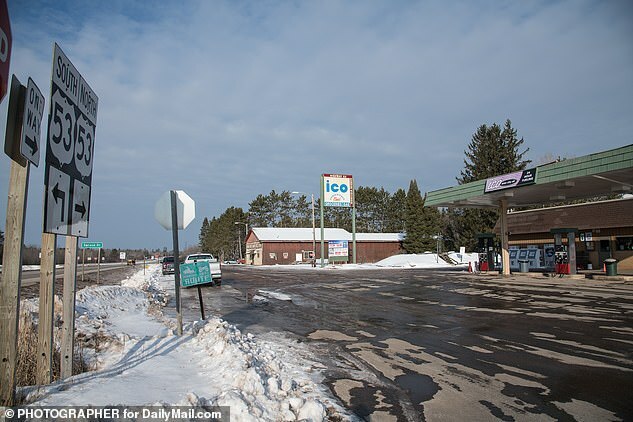 Jan. 10, 2019 – After three months Jayme is found alive in Gordon, Wisconsin. A suspect is taken into custody. President of the Jennie-O Turkey Store in Barron, Steve Lykken, also said Patterson once worked at her parents’ employer before quitting after a single day. He issued a statement Friday saying Patterson was hired one day but quit the next, explaining that he was moving away from the area. 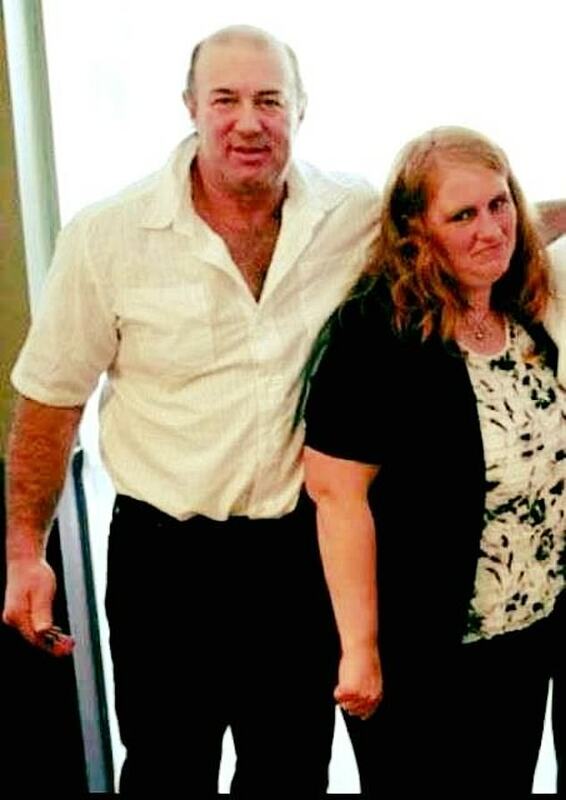 Unemployed Patterson had no previous criminal history and was not on the radar of police. They say they are not looking for anyone else in connection with the case. 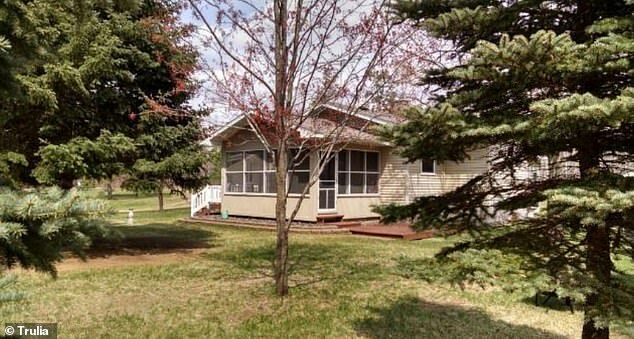 Police believe Patterson – said to have hidden the girl in the home he grew up in – killed the Wisconsin couple because he wanted to abduct their daughter. They say she was ‘the only target’. Barron County Sheriff Chris Fitzgerald say Patterson ‘planned his actions and took many steps to hide his identity’. 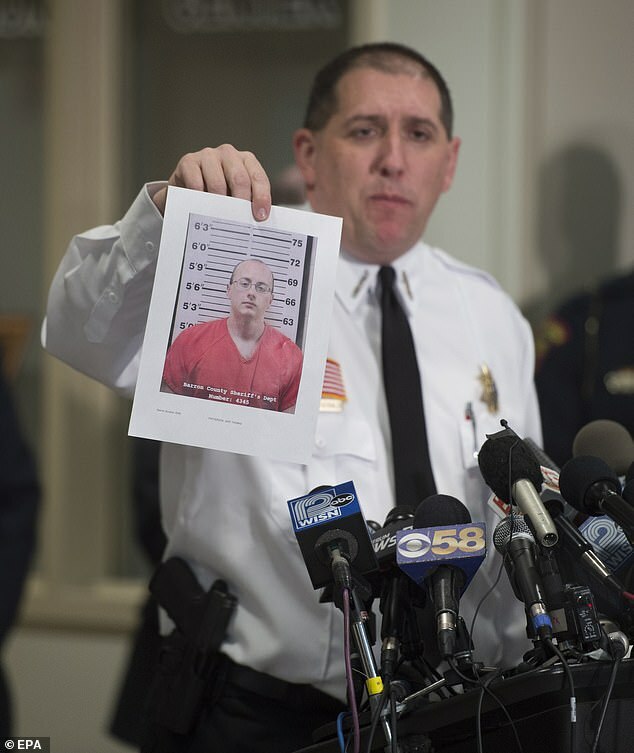 She was kept in a ‘home in a remote area’ of Douglas County, Fitzgerald said. 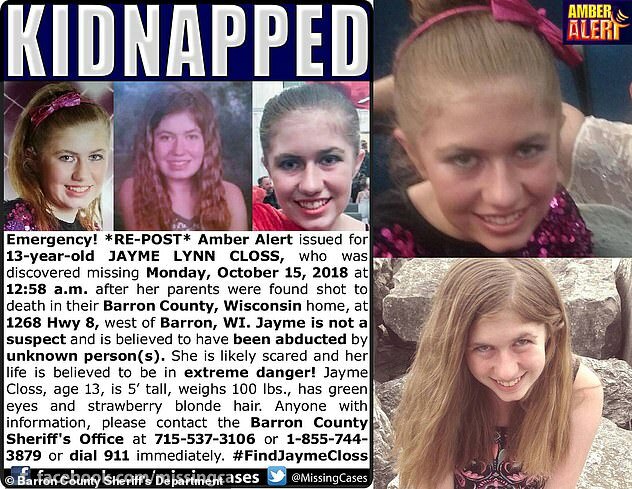 He said: ‘Jayme was taken against her will and escaped from the residence at which she was being held in. We also don’t believe at this time the suspect had any contact with the family. We do believe that Jayme was the only target. ‘I can tell you that the subject planned his actions and took many proactive steps to hide his identity from law enforcement and the general public. He was pulled over by police in his car just minutes after Jayme was found and gave a description of the vehicle. Fitzgerald said he doesn’t know if Jayme was abused by her captor and that detectives are now interviewing her about her ordeal. 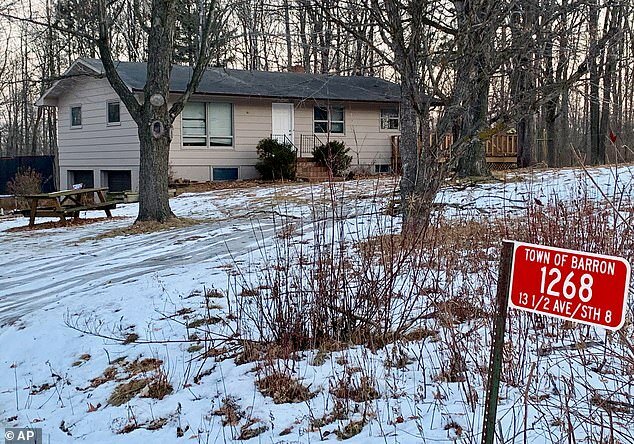 Patterson lived three doors down from the woman who called 911 to report that a missing 13-year-old Wisconsin girl had been found. Teacher Kristin Kasinskas says she taught him middle school science but only remembers that he was quiet. It comes as another neighbor of Patterson says she and her husband had problems with him siphoning gas years ago. Daphne Ronning told the Milwaukee Journal Sentinel that Patterson’s parents moved to Gordon about 15 years ago. 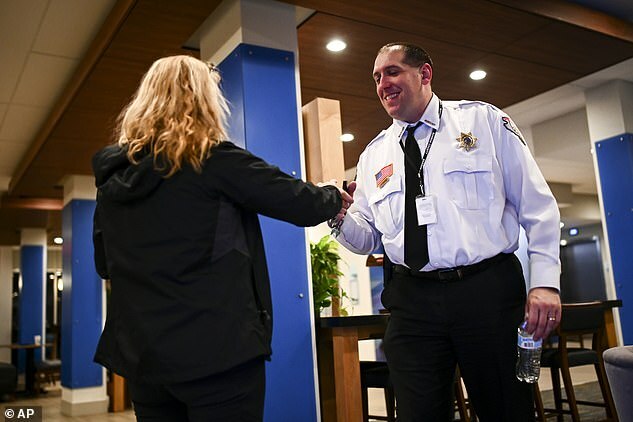 It has also since emerged that ownership of the remote cabin where she was apparently held was passed to a credit union soon after her abduction. 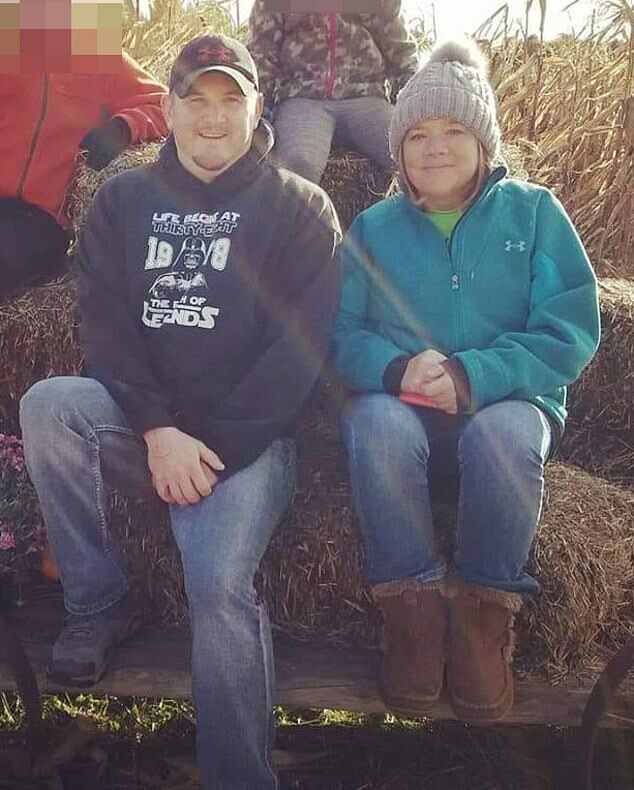 Patterson’s father transferred the title of the cabin near Gordon to Superior Choice Credit Union on Oct. 23 – eight days after the attack at the Closs family’s home, according to records. 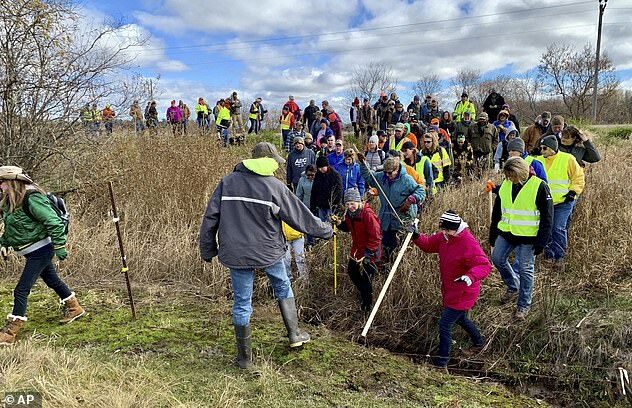 Jayme was described as ‘skinny and dirty but outwardly OK’ by the couple who called 911 after the teenager flagged down dogwalker Jeanne Nutter in rural Wisconsin. 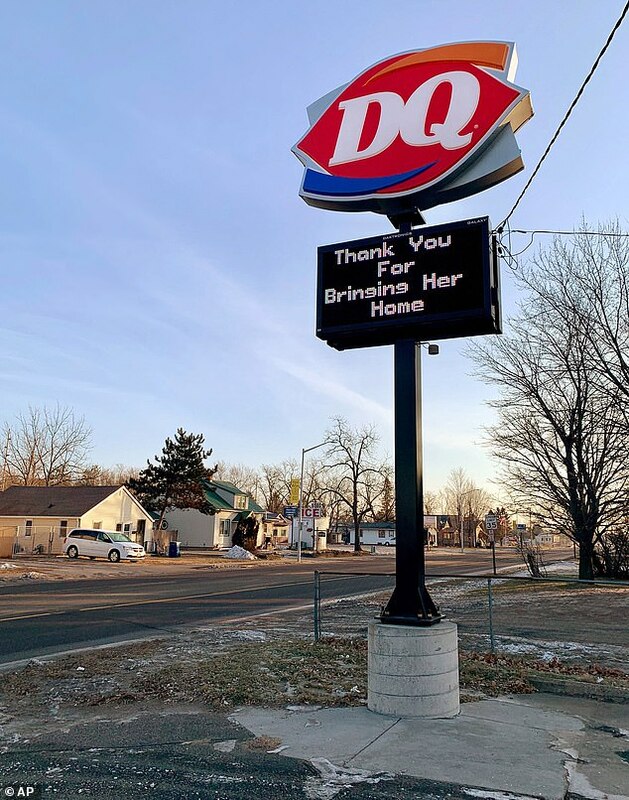 She was taken from her home in Barron, Wisconsin on October 15, the same day her parents, James, 56, and Denise Closs, 46, were found shot dead inside. 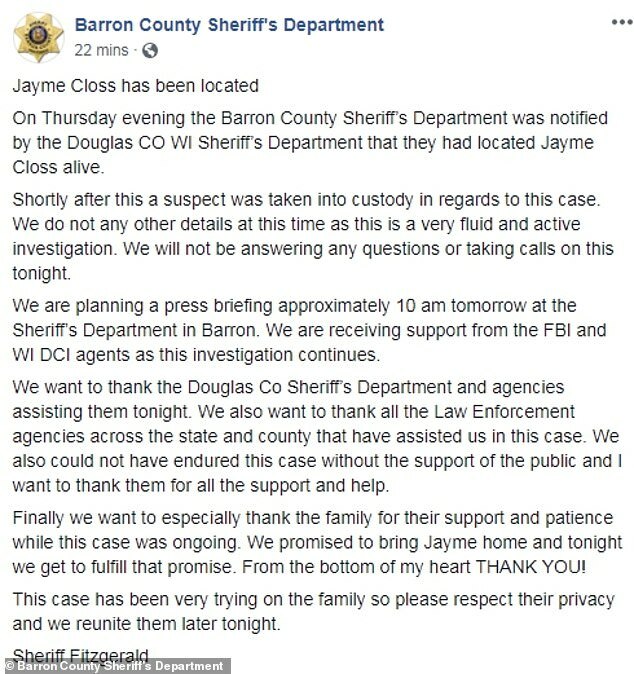 The Barron County Sheriff’s Department confirmed Thursday evening that Jayme has been located in Douglas County. 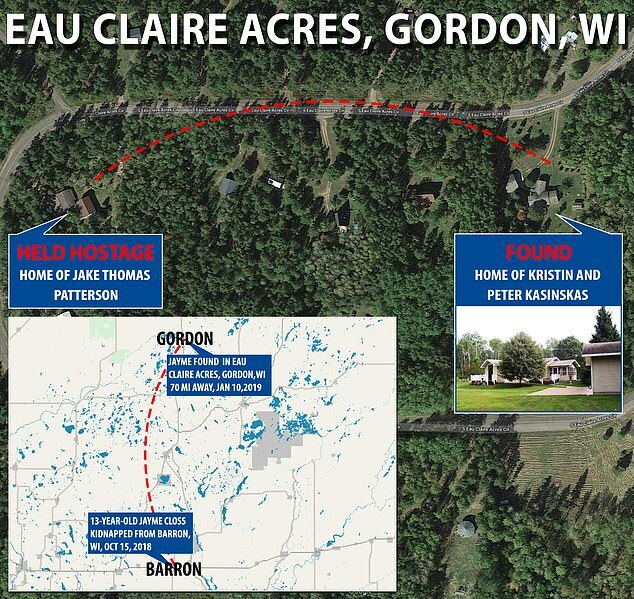 The board chairman of Gordon said Jayme was found at Eau Claire Acres, a development located about 70 miles away from her home. The teen approached a woman walking her dog, and told the stranger she had been kidnapped and that a man killed her parents. 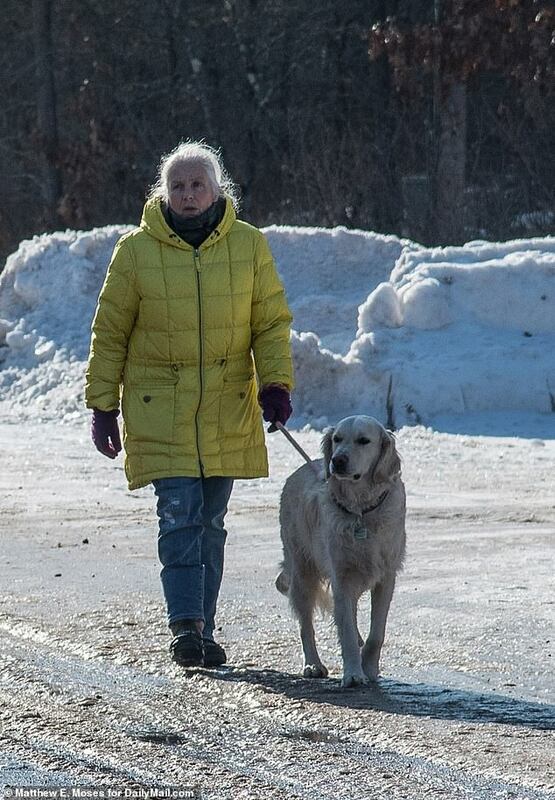 Dogwalker Jeanne Nutter went with Jayme to her neighbors house and pounded on their door. 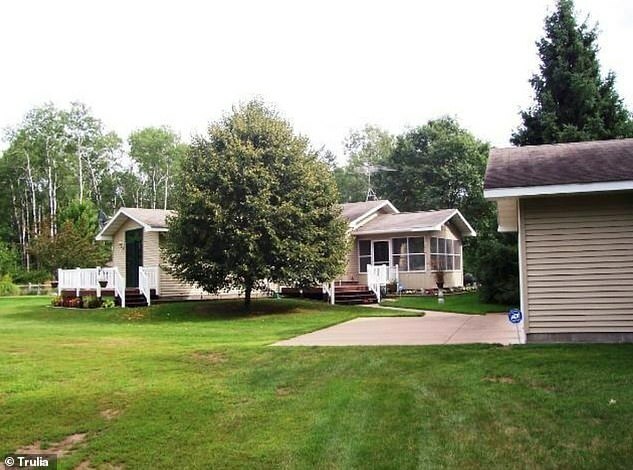 She says Jayme had walked away from a cabin not far from her place where she had been held. Nutter, a social worker, said: ‘I went to her and she just sort of grabbed onto me and she told me who she was. She’s a traumatized child. I believe she was just maybe in shock. Kristin told the Today Show: ‘She knocked on our door, and then actually opened our door and said call 911. ‘I think we recognized Jayme immediately. I mean, her picture has been everywhere around here, billboards and things so we recognized her immediately. Asked about whether Jayme told her how she escaped, Kristin said: ‘Not really. She kind of talked about being locked up or hidden when this person had to leave, but she did not go into any detail about how she got away. 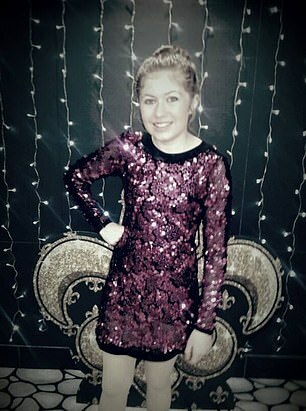 ‘She looked thinner than her pictures. We offered her a beverage. We offered her something to eat. She said she didn’t want anything to eat or drink. She was comfortable. She just was cold, so we did give her a blanket, but yeah, she didn’t want food or anything to drink. I would – I guess I would describe her as looking kind of unkempt. Peter Kasinskas told the Minneapolis Star Tribune that Jayme was quiet and showed little emotion. He says she told them she didn’t know where she was or anything about Gordon, the small town near where she was found. A statement from police said: ‘We want to thank the Douglas Co Sheriff’s Department and agencies assisting them tonight. We also want to thank all the Law Enforcement agencies across the state and county that have assisted us in this case. ‘We also could not have endured this case without the support of the public and I want to thank them for all the support and help. ‘Finally, we want to especially thank the family for their support and patience while this case was ongoing. 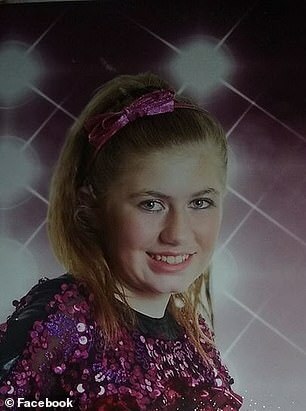 Jayme’s relieved family have said the teen is ‘talking, doing great and getting rest right now’. Her aunt, Kelly Engelhardt, told KARE 11 that the news is what the family has ‘prayed for’ every day. ‘I honestly had faith… I figured if they hadn’t found her by now that the person that did this didn’t want her dead, so I had hope. Every day there was hope. We had too much love and support around us for us to give up,’ her aunt said. 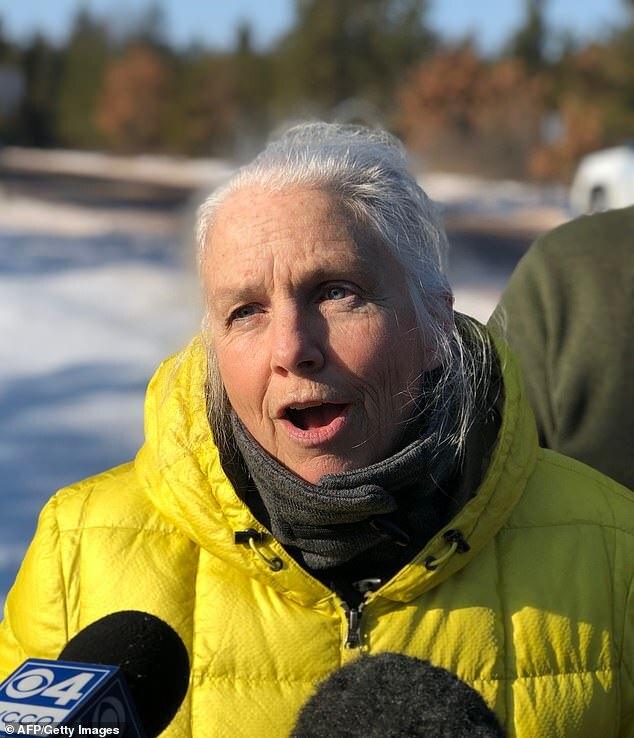 Diane Trembley, the superintendent of Barron County, said: ‘We want to thank Jayme for being so courageous and for achieving an opportunity to find a way back to us. 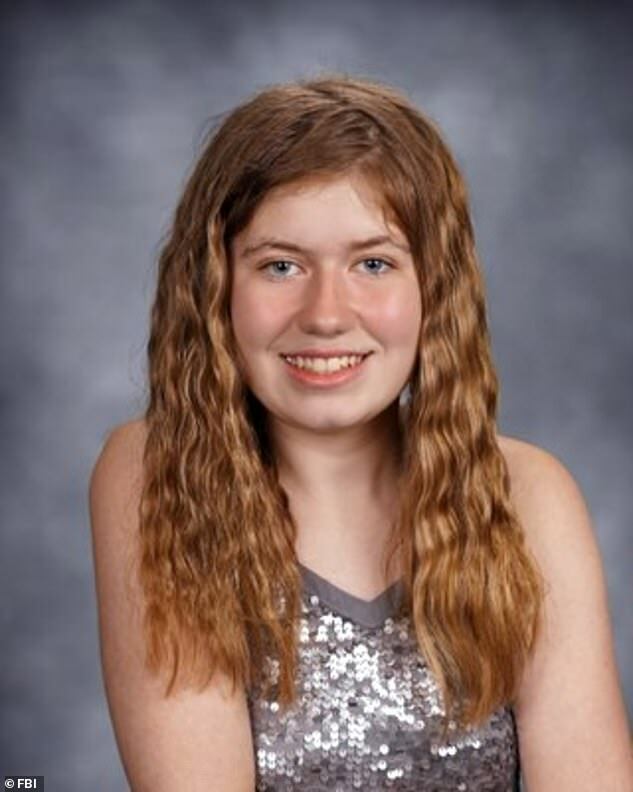 What an extraordinary young lady..
She confirmed there will be a celebration for Closs, who is a student at Riverview Middle School in Barron, in the community. The teen’s uncle, Jeff Closs, said he is shocked and beyond grateful for the outcome they desperately hoped for. ‘It was just unbelievable because you hear about… you’re not sure if she’s not going to be found. And when you actually hear it, it’s just unbelievable. We’re all just so grateful and happy. 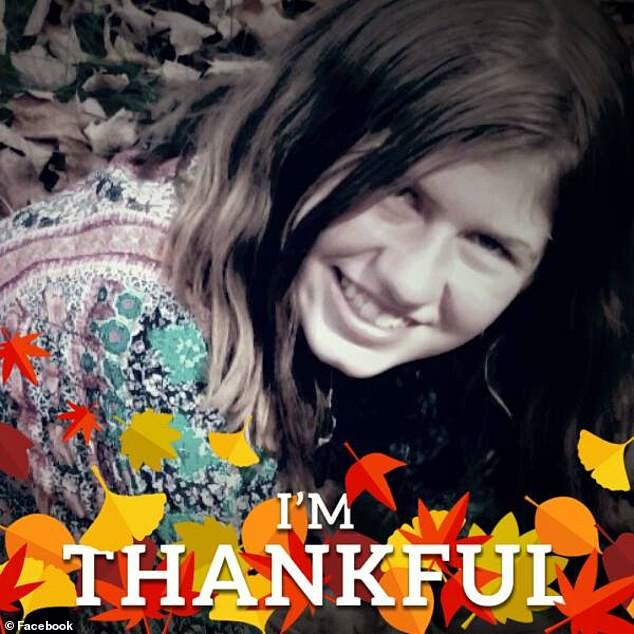 The teen’s aunt Jennifer Smith added: ‘I haven’t got to see her yet but I get to see her this afternoon and I hear she is doing great and she’s getting rest right now. 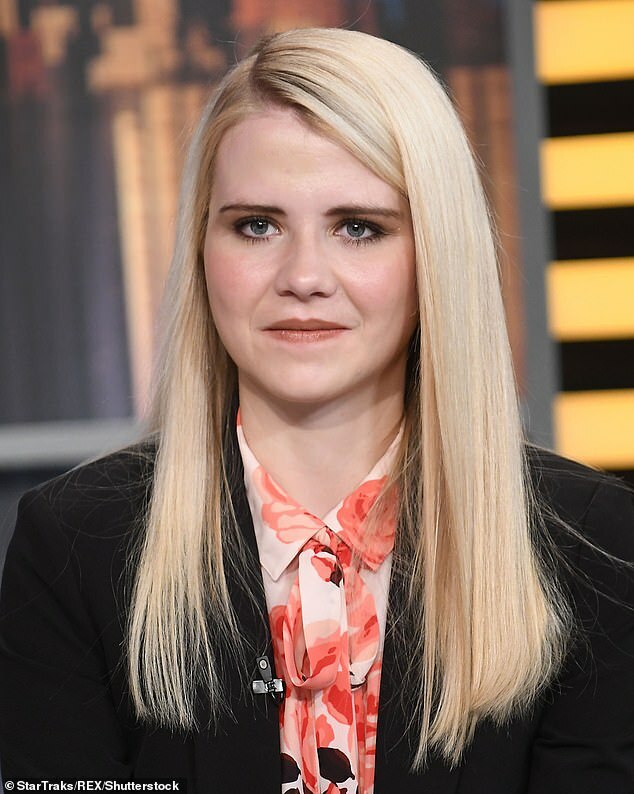 Kidnap victim Elizabeth Smart has also paid tribute to Jayme and has offered her support to the ‘brave, strong and powerful 13-year-old survivor’. Smart said she would expect that Jayme will have to confront the fact that there ‘is no going back to the way things were’. She said she recommends that Jayme’s friends and family give her space and allow her to make her own decisions. 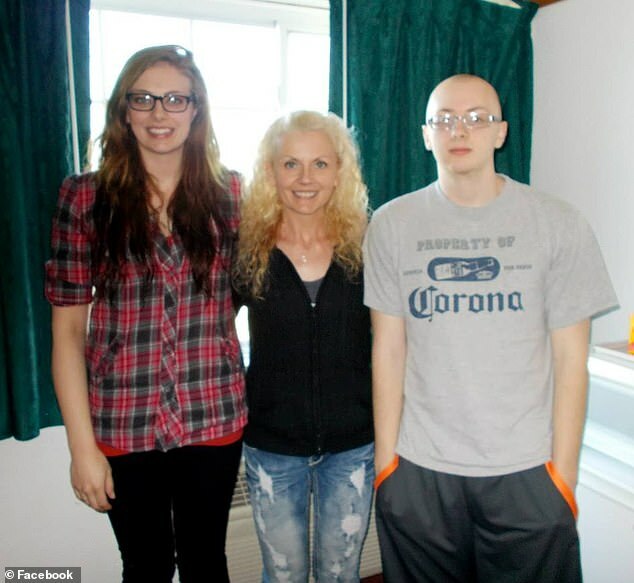 Elizabeth was was 14 when she was held in the woods by Wandaa Barzee and Brian David Mitchell for nine months. Jayme’s name was added to the top of the FBI’s Missing Persons list and has been on digital billboards across the nation since she vanished four months ago. 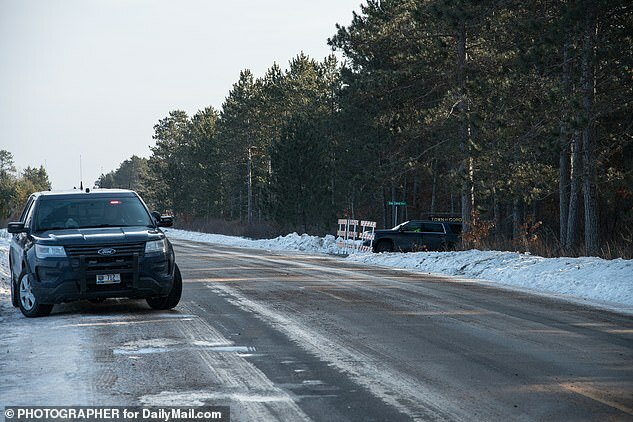 In December, Barron County Sheriff Chris Fitzgerald shared troubling details about the crime scene with DailyMail.com. 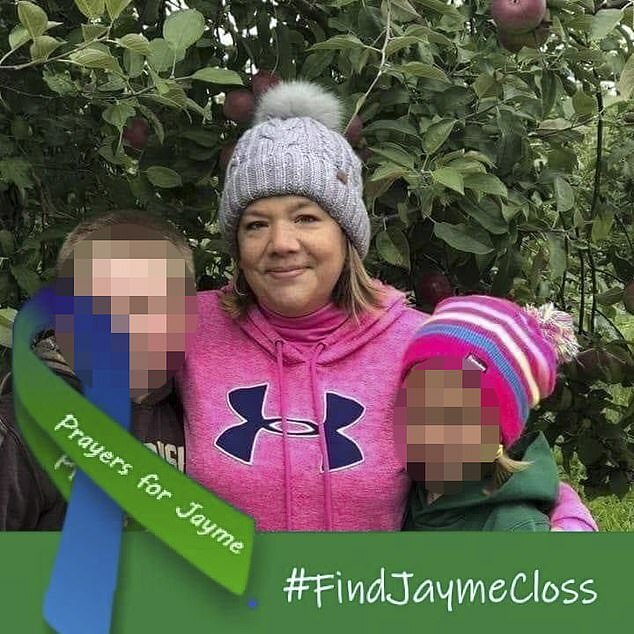 Fitzgerald said the killer was in the Closs home for only four minutes, during which they stepped just five feet into the open plan house, shot James and Denise and took Jayme. Both Denise and James died ‘instantly’ of their wounds, the sheriff said. 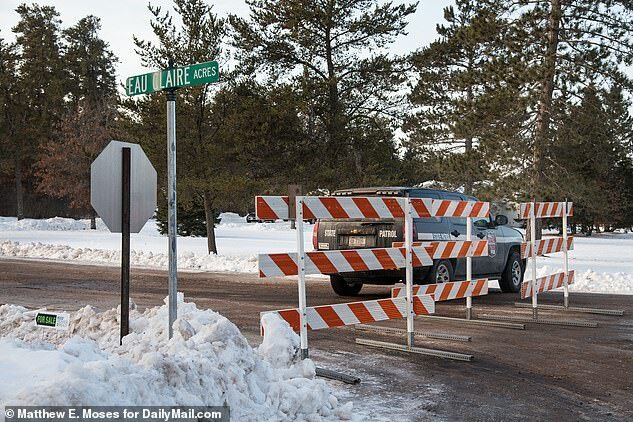 Despite a mysterious inaudible 911 call made from her mother’s cell at 12.54am, when police arrived at 12.58am, they revealed there was no sign that Jayme resisted her abductor. There was nothing taken and nothing disturbed. In fact, there was no forensic evidence of any intruder at all. Fitzgerald said: ‘That’s the frustrating part of it. We’ve had four different lab teams look at the scene before we released it. We were very strategic. When we discovered it was a major crime, we sealed it off immediately. 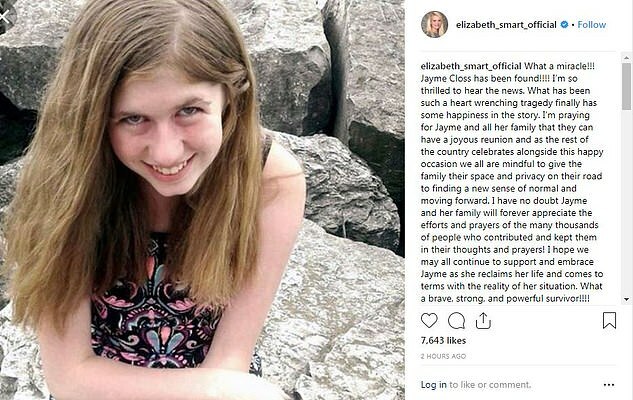 Searches of her social media, cell phone and computer have offered no evidence of a boyfriend or anyone she met anyone online who might have targeted her or her parents.